The digital AV sender is designed at 2.4GHz via hopping mode. 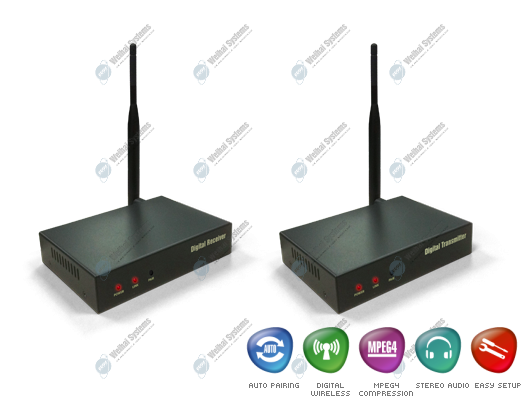 Different from traditional analog solution, this wireless device provides security ID code to protect your privacy and avoid any interference from other wireless devices. CCTV camera, Satellite receiver, Set-Top-Box, DVD and any other AV device is available.